Home »News »First Single from THE LONG ROAD premieres! First Single from THE LONG ROAD premieres! 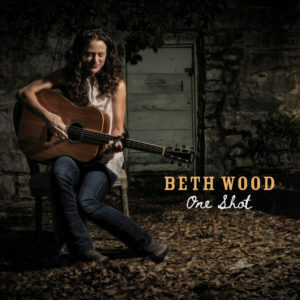 I’m thrilled to announce the premiere of the first single, “One Shot” from my new album THE LONG ROAD!! This song has special meaning to me as I wrote it at a tender moment in one of my favorite places in the world, southwestern Colorado. My friend, the great Bob Hemenger, was hosting me for a concert and a workshop his high school students on the day after the election in 2016. We didn’t think anything of the date when we made the plans months prior. I was staying about 15 minutes outside of town in a remote, beautiful spot without internet. It was an interesting place to wake up that day. When I don’t know what else to do, I sing and I write. So that’s what I did that day sitting at the kitchen table looking out at the aspen trees and the flowing river. This character allowed me to say some things about war and sacrifice that I needed to say. Click here to read the review and listen to the song on PopMatters!